Read it, Say it, Write it! These useful word packs were designed for our Hi-Write line to encourage recognition of basic sight words by using a read it, say it, write it approach. 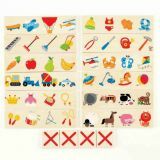 Each card features a basic sight word that can be traced and then copied below using our recognized Hi-Write approach. First Grade Set, watch them learn! Dimensions: 104 - 5" x 3" (13cm x 8cm) laminated (wipe-erase surface) cards. Wipe-erase marker included. Read it, Say it, Write it! These useful word packs were designed for our Hi-Write line to encourage recognition of basic sight words by using a read it, say it, write it approach. 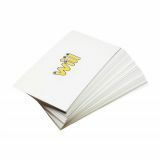 Each card features a basic word that can be traced and then copied below using our recognized Hi-Write approach.